Brandy Alma de Magno elaborated thanks to a careful selection of holandas aged in barrels of American oak following the system of Soleras. With great aromatic depth and soft and velvety but persistent palate. 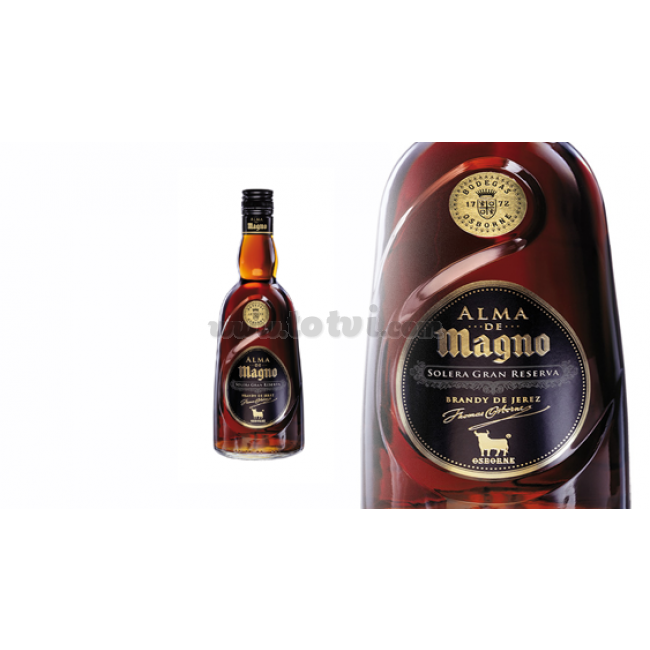 Brandy Alma de Magno elaborated thanks to a careful selection of holandas aged in baarrels of American oak following the system of Criaderas and Soleras. Dark mahogany color, transparent and luminous. With great aromatic depth enriched by fine notes of nuts, a hint of oak wood and souvenirs to roasted cacao, licorice and vanilla. Palate soft and velvety, but persistent.